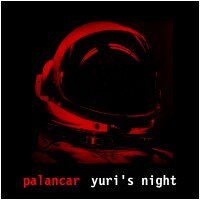 Recording of a live performance by Palancar in Second Life at Space Station Bravo, on April 12, 2007, in celebration of Yuri's Night (yes, it's the Yuri you're thinking of, Yuri Gagarin). Part of an ensemble cast of artists assembled by Tony Gerber of Spacecraft and Space For Music, what you hear in this recording is exactly what the audience heard that night. Four pieces of beautiful ambient music celebrated the historic first manned space flight by Russian Cosmonaut Yuri Gagarin on 12 April 1961. I feel the music is worthy of celebrating a historic time in your history as a people of the earth.